Stan’s Obligatory Blog » Sunday ride to look for E.T. Sunday ride to look for E.T. This Sunday’s ride was a route that I made up a couple of years ago. 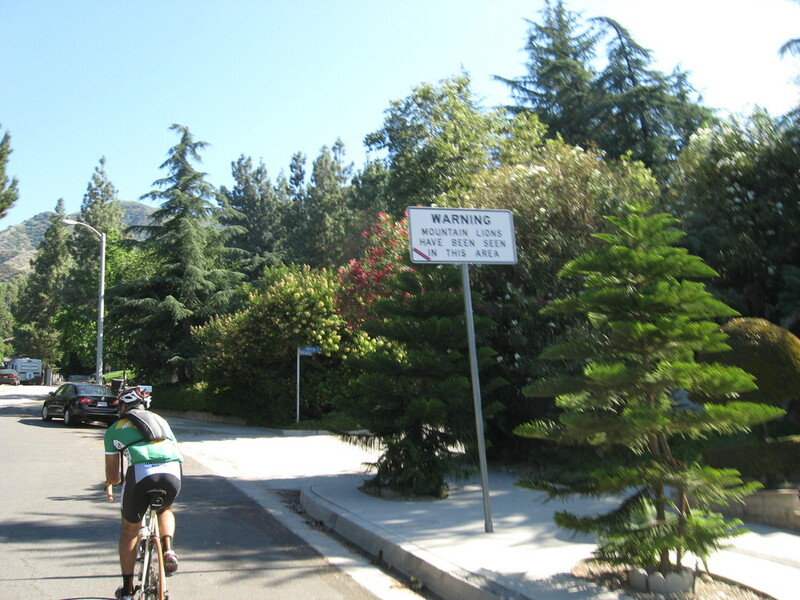 It’s a ramble through La Crescenta and Tujunga, with a sightseeing stop at the house where they filmed “E.T. The Extra-Terrestrial“. It was hot today, and that made riding up the hills even more of a joy than usual. But it was still fun. 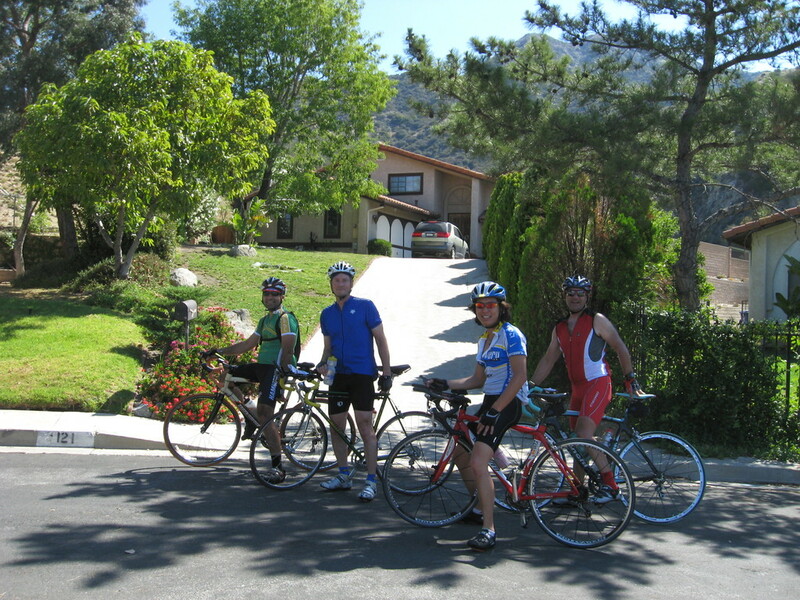 We rode up through La Crescenta, and then straight up Rosemont to the top. There was a sign near the top warning us that mountain lions have been seen there. So we attempted to maintain a brisk pace. Then west across to Tujunga, where JJ got a flat. After fixing the tire, we headed up the hill going up to Elliott’s house. That’s something like a 15-18% grade. There was a house with sprinklers that were watering the street, so we all rode through the spray to cool off. At the top, we took a picture in front of the house before heading back down. 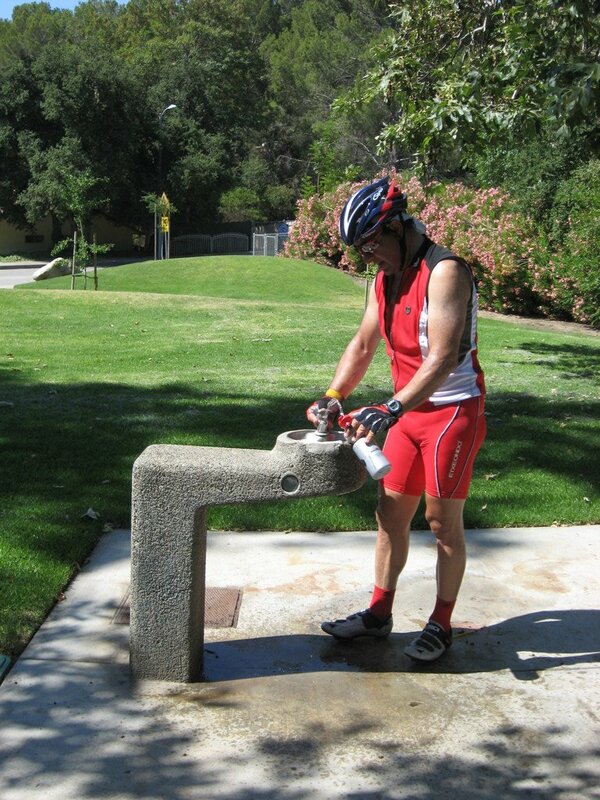 Coming down Tujunga Canyon Road, we stopped at a little park to get water, since we were running out. Then down into Montrose, where we stopped at Oven Fresh Bakery. After the stop, it had gotten quite hot. So we had a secret ballot and voted to take a shortcut home. It was a nice ride, but pretty hot today.